Scientists from the National Center for Atmospheric Research traveled to South Korea last spring as part of a field campaign to investigate the region's air quality. Between May 1 and June 12, NCAR scientists and their colleagues from NASA, U.S. and South Korean universities, and South Korea’s National Institute of Environmental Research (NIER) collected observations from airborne labs, ships, satellites, and ground-based instruments. The campaign, which involved more than 580 researchers from 72 institutions, was called KORUS-AQ (Korea U.S.-Air Quality study). 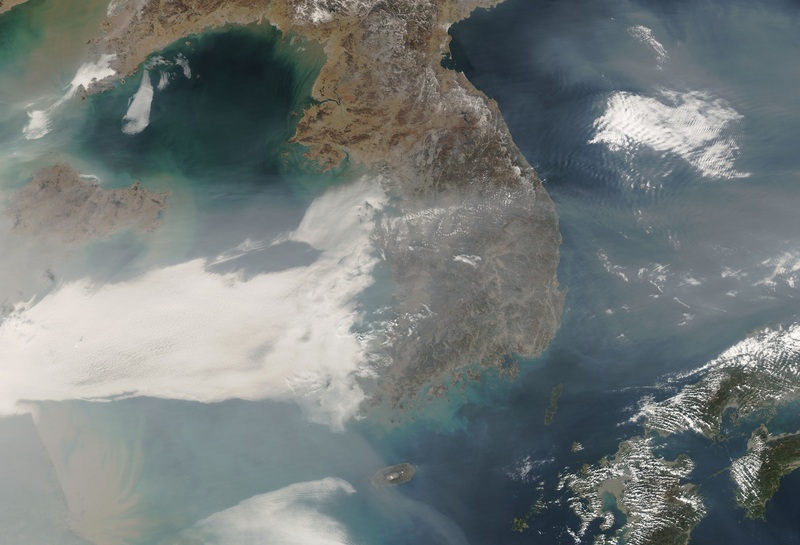 "These observations will help us develop a much better understanding of the various complex factors controlling air quality over the Korean Peninsula," said NCAR scientist Louisa Emmons. "The observations will help improve air quality models, and in turn, those models will help us interpret the current, as well as future, observations." South Korea offers a rare opportunity to separate the diverse factors that contribute to air quality. For example, Seoul, the capital of South Korea, is one of the world's five most-populated metropolitan areas, but it is surrounded by rural, forested land. This stark separation gives scientists the ability to differentiate the components of pollution that originate from factories, tailpipes, and other human-related sources of pollution from those that originate from natural areas, including volatile organic compounds emitted by vegetation. Because the Korean Peninsula is largely isolated by bodies of water, scientists can also more easily determine what kinds of pollution blow into the region — dust and industrial pollution from China, for example — as well as what kinds of pollution blow out of the region toward Japan. NCAR scientists contributed to the effort in several ways. A team led by Emmons issued chemical forecasts of pollution transport and formation so that the scientists taking airborne measurements can decide where, or whether, to fly. The planes used during KORUS-AQ included a NASA DC-8, a NASA King Air, and a Korean King Air operated by Hanseo University and NIER. Two NCAR research groups from the Atmospheric Chemistry Observations and Modeling lab also flew instruments onboard the DC-8, which made 20 flights during the campaign. One team, led by NCAR scientist Sam Hall, measured the amount of light available to break down compounds in the atmosphere. The second, led by NCAR scientist Andy Weinheimer, measured ozone and nitrogen oxides in the atmosphere. In combination with other instruments on the aircraft, these helped to characterize the photochemical history, processes, and evolution of air pollution along the flight path.